When you have to travel away from your Springs luxury apartment home without your pet, what are your options? Boarding services are readily available in most areas. Unfortunately, they're often pricey and staying in a strange place can be stressful for your dog or cat. Pet sitters will care for pets in your own home, providing personalized service at more affordable rates, but you can't simply pick one at random. Leave Fido and Fluffy in good hands when you use these tips to find an experienced and trustworthy pet sitter. Satisfied customers are always the best source of candidates. Ask family and friends for referrals, and put the word out to your social media contacts that you're in the market for a pet sitter. Anyone can post an ad in Craigslist calling themselves a pet sitter. 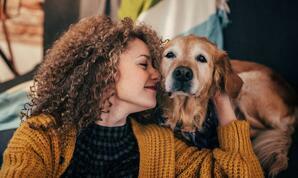 The National Association of Professional Pet Sitters (NAPPS) and Pet Sitters International (PSI) are formal organizations offering education, certification and other resources to help members meet a high level of industry standards. Sadly, some people are not above falsifying references in order to get a job. No matter how impressive a pet sitter's references look, contact each one and make sure their experience was as glowing as the candidate claims. Whatever the line of work, even the most capable and professional employee can have a mishap. A well-qualified pet sitter should have up-to-date insurance covering accidents and negligence and be bonded for losses from theft. None of the other qualifications matter if a pet sitter doesn't get along with your dog or cat. Schedule a convenient date and time when the prospective pet sitter can visit your home to meet you and your pet. Don't be afraid to trust your instincts if anything feels off. How often should your dog be walked? Does your cat require special medication? Don't assume that a pet sitter will automatically know how you want your cat or dog to be treated. Put all expectations in a written list signed by both of you. An initial job of several days or a week can put too much pressure on the pet sitter and your pet. Start off with a short one- or two-day job to see if the relationship will gel. You're the boss, but you still have a certain amount of responsibility to make sure a pet sitter has the right resources. Provide emergency numbers for yourself, the vet and a close friend or family member. Make sure pets have current ID tags, especially if they're not chipped. Keep food and supplies in a single, easy-to-access place. Have extra quantities on hand just in case. Your pet and his new sitter will bond quickly when they spend quality time at the off-leash dog parks and pet spas located in each of our Springs luxury apartment communities.